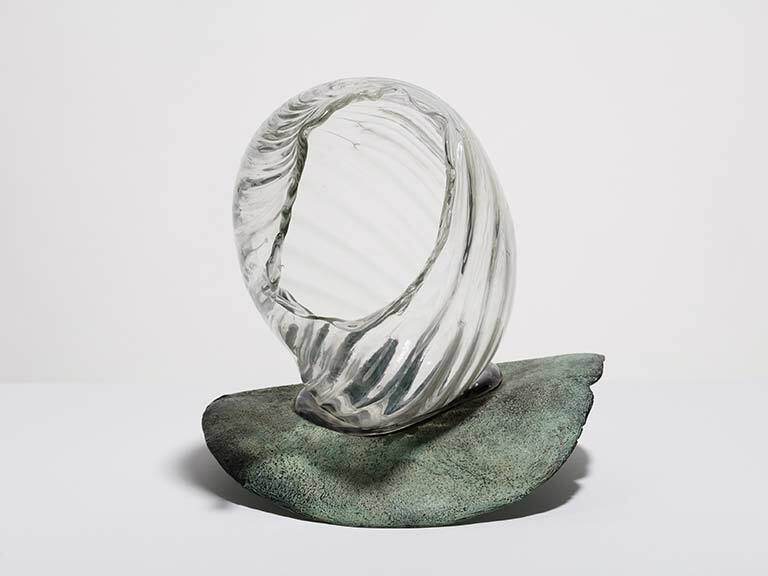 The change from solid optical glass prisms to hot blown glass marked a shift in Lijn’s work from the purely metaphorical to the intensely personal. Whereas Lijn’s Prism Heads transformed light, her Torn Heads expressed emotion. The opening Lijn made into the closed complete shape was both orifice and wound. The complete change in the head in both form and meaning enabled Lijn to make the Brides.